During 2008-09, export of cashew dropped in terms of quantity and increased in terms of value as compared to the 2007-08. Total shipments in 2008- 09 were at 1,08,131 tonnes valued at Rs 2,950 crore. In terms of volume, it dropped by 5.4 per cent, while in terms of value, it improved by 28.9 per cent, Cashew Export Promotion Council of India (CEPCI) sources said. Exports of cashew nut shell liquid stood at 6,986 tonnes valued at Rs 16.79 crore, they said. The export value has fell from Rs 267 a kg in February to Rs 262 in March. The unit value during the first quarter of the last fiscal had touched approximately Rs 400 a kg. Even if there was an increase in the value, it was compensate by the soaring raw nut prices in the last fiscal. The raw cashew price in March was Rs 44.89 a kg as against the average price of Rs 28.83 in 2007- 08. Kotak Mutual Fund has announced 4 May 2009 as the record date for dividend distribution in the dividend option of Kotak FMP 12M Series 3. The fund house has decided to distribute 100% distributable surplus as dividend on the record date. The face value of the scheme is Rs 10 per unit and the scheme recorded NAV of Rs 10.5561 per unit under the retail plan (dividend option) and Rs 10.5563 per unit under the institutional plan (dividend option) as on 27 April 2009. Kotak FMP 12M Series 3 is a close ended debt scheme. The investment objective of the scheme is to generate returns through investments in debt and money market instruments with a view to significantly reduce the interest rate risk. Apollo Tyres revealed that it will invest Rs 700 crore in 2009-10 primarily for conclusion of its Chennai greenfield facility. The company''s net profit for 2008-09 dropped over 50 per cent at Rs 108 crore as compared to Rs 219 crore in the previous fiscal on account of soaring input cost and slow demand in the domestic auto market. However, net sales increased by 10.18 per cent in FY''09 at Rs 4,070 crore as compared to Rs 3,694 crore in the previous fiscal. The markets are now trading with strong gains in line with the Asian markets. All the sectorial indices are trading in green. The strong buying continued among the IT, Banking, Realty, Power and Oil & Gas stocks. However a little bit of volatility prevails at higher levels ahead of F&O expiry today. The broader markets stocks are also on the buyer’s ride today as both the BSE Mid Cap and the BSE Small Cap are trading with a gain of around 1.5% each. The BSE Sensex is now trading above the 11,200 mark and the NSE Nifty above the 3,400 mark. The overall market breadth is positive as 1197 stocks are advancing while 953 stocks are declining and the 83 stocks remain unchanged on BSE. The BSE Mid cap is trading higher by 22.59 points at 3,473.30 and the BSE small Cap increased by 35.75 points to trade at 3,924.07. At 12.37 pm, BSE Sensex was at 11,214.97 up by 213.22 points and the NSE Nifty was at 3,427.50 up by 65.15 points. 2. Reappointed Dr. Rajiv B Lall as Managing Director & CEO for a further period of 3 years effective January 10, 2010. 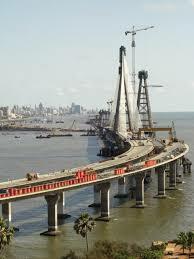 The Rs 1600 crore Bandra-Worli sea link project is all set to be completed by May 31. The project that overshot its schedule and has been in the making for the last 8 years is finally approaching towards the completion. If all goes well, the sea link is expected to functional within a couple of months. The travel time between Worli and Bandra is expected to reduce to 10 minutes from the 40 minutes currently and about 80,000 vehicles are expected to ply daily. The reason for the delay of this project seems to be the differences between the contractors and the government over deadline and the payment. 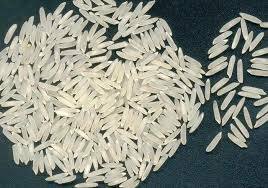 New Delhi: US rejects six basmati shipments on the ground that they contain 'filth'. India has issued an advisory following rejection to exporters asking them to fulfil the quality norms and meet other procedural demands.According to US Food and Drug Administration (USFDA), six Indian consignments of basmati rice, both raw and parboiled, have been rejected since March on charge that they are 'filthy'. Dubai: Middle-East companies raised $83.6 million through two IPOs in the first quarter of this year. However, this is 97.9 per cent lower as against fund raised in 2008, an Ernst & Young report has said.$3.98 billion was raised through 13 IPOs in the first quarter of 2008, Ernst & Young's first quarter Global IPO update 2009 has said. Saudi Arabia's Etihad Atheeb Telecommunications was the largest IPO in the Middle East during this period, which raised $80 million and listed on the Riyadh Stock Exchange. The company was ranked third in terms of capital raised among a total of 50 IPOs worldwide, all of which raised just $1.4 billion, it said. A Syrian company, Al Adham Foreign Exchange Co, was the only other regional IPO in Q1 2009. It raised $3.62 million and listed on the Damascus Stock Exchange. Reliance Fixed Horizon Fund-VI-Series 8-Retail Plan recorded NAV of 10.1630 per unit as on 27 April 2009. Reliance Fixed Horizon Fund- VI-Series 8- Institutional Plan recorded NAV of 11.2729 per unit as on 27 April 2009. Reliance Fixed Horizon Fund-VI is a close ended income scheme with an investment objective to seek to generate regular returns and growth of capital by investing in a diversified portfolio of central and state government securities and other fixed income/debt securities normally maturing in line with the time profile of the scheme with the objective of limiting interest rate volatility. Birla Sun Life Mutual Fund has planned to declare dividend under the dividend option of retail and institutional plan in Birla Sun Life Fixed Term Plan- Series AT. The record date for the dividend is April 30, 2009. The fund house has decided to distribute 100% of distributable surplus on face value of Rs 10 per unit as dividend on the record date. The scheme as on April 23, 2009 recorded NAV of Rs 10.9379 per unit under institutional plan and Rs 10.9174 per unit under retail plan. Birla Sun Life Fixed Term Plan - Series AT is a close ended income scheme, with an objective to generate current income by investing in a portfolio of fixed income securities maturing normally in line with the duration of the scheme. Metal, PowerIn order to control the rise in sugar prices, the government has asked the excise department to keep a watch on the sugar mills to make sure of no hoarding as well as to ensure timely release of the stocks.This move by the government comes in the backdrop of government's view that mills may be withholding their stocks and not releasing them timely, thereby causing artificial shortage. Extending further losses, the major Indian bourses are trading in discount amidst weak Asian markets. The expiry of April series derivative contracts and two continuous holidays in this week made traders cautious about taking any fresh position in the market. On a stock specific news, Aban Offshore sheds another 6% due to poor quarterly performance. During the last hours'' trading session, selling pressure has been persistent across sectors like Metal, Power and FMCG, whereas buying interest has seen across consumer durables counter. Among the BSE sectoral indices Metal, Power and FMCG stocks dipped by 2.03%, 1.60% and 1.44% respectively. Overall the market breadth is negative as 1269 stocks are trading in red while 683 stocks are in green. BSE Sensex down by 126.63 points at 11,245.21 while NSE Nifty declined by 49.84 points at 3,420.15. Besides, the BSE Mid Cap and Small Cap are trading lower by 26.88 points and 36.75 points at 3,557.39 and 3,990.38 respectively. Ambuja Cements Ltd has informed that the Share Allotment & Investor Grievance Committee at its meeting held on April 22, 2009 has allotted 1,87,500 Equity Shares on exercise of the stock options by the employees as per the details given below:- Stock Option Scheme 2004-2005 : 1,87,500 shares allotted. Duroflex Engineering Ltd has informed that the Company has commenced the commercial activity of generation of energy through non-conventional sources namely, through the set up of 0.60 MW Wind Power Project at Gut No. 21 of Village Rameshwar Tal-Khatav Dist. Satara with effect from March 31, 2009. The inter-bank call rate ended at 3.20-3.30 per cent as compared to the previous close of 3.25-3.30 per cent. In the one-day repo auction in the first liquidity adjustment facility (LAF), there was no bids. However, in the reverse repo auction, there were 24 bids for Rs 57,005 crore. Moreover, there were no bids in the repo auction under the second LAF. In the reverse repo auction, there were 36 bids for Rs 75,255 crore. In 14-day special repo auction scheme for mutual funds and NBFCs under the LAF, there were no bids. 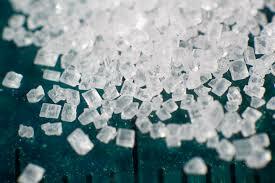 Kolkata: The new season teas in North India once again benefited with strong demand during previous week. It sold at attractive prices which were considerably higher than those in the previous year, according to tea auctioneers.In the orthodox section, the new season teas sold at higher prices than last season, particularly brokens and fannings. The old season teas also sold at dearer rates. West Asian and the CIS exporters were active.The Colombo sale witnessed good demand at firm to dearer rates with Low Growns in particular appreciating in value .CIS, Iran, Dubai, Turkey, Syria, Saudi Arabia together with Iraq were active. Redington India Ltd has informed that the ESOP Share Allotment Committee of the Directors of the Company has allotted 400 Equity Shares of Rs 10/- each at a premium of Rs 120/- per share pursuant to exercise of the options granted under Redington (India) Ltd. Employee Stock Option Plan-2008. The markets today opened significantly lower tracking cues from Asian markets. However suddenly the markets gained momentum and recovered from the early loss. The significant buying witnessed among the Metal, Banking, Pharma, Capital Goods and Consumer Durables stocks. However the IT and FMCG stocks are trading lower today. Broader markets however outperformed the benchmark index in the early trade as both the BSE Mid Cap and the BSE Small Cap index are trading with a gain of more than 1% each. The BSE Sensex is now trading around the 11,300 mark and the NSE Nifty above the 3,450 mark in the early trade. At 10.37AM, the BSE Sensex was down by 34.43 points at 11,294.62 and the Nifty was down by 9.55 points to 3,471.20. 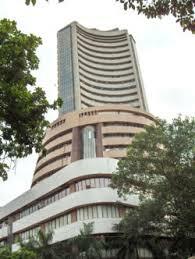 The BSE Mid Cap increased by 36.21 points to 3,636.30 and the BSE Small Cap grew by 45.77 points to 4,114.03. The overall market breadth is positive as 1052 stocks are advancing while 506 stocks are declining on BSE. 1. To issue 2500000 Convertible Warrants as per SEBI Guidelines to Dcom Systems Ltd, Promoter Group Company. 2. To Convene Extra Ordinary General Meeting on May 21, 2009 for Special Resolution under 81(1)(A) of The Companies Act, 1956 authorising the Board to issue aforesaid Convertible Warrants. The gold prices on Saturday declined marginally by Rs 10 to close at Rs 14,890 per ten gram in the bullion market in New Delhi due to lack of buying support amid profit selling by stockists. Following the same trend, the silver also fell by Rs 100 to Rs 21,500 per kg due to reduced industrial offtake. The marketmen said the last two day''s upsurge attracted the profit selling by stockists and pulled down the prices marginally lower. 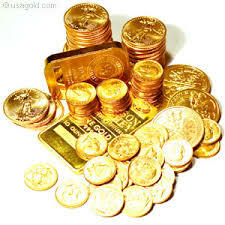 The standard gold and ornaments shed Rs 10 each at Rs 14,890 and Rs 14,740 per ten gram respectively. Moreover, the sovreign tumbled Rs 50 to Rs 12,400 per pieces of eight gram. Birla Sun Life Mutual Fund has planned to declare dividend under the dividend option of retail and institutional plan in Birla Sun Life Fixed Term Plan- Series AS. The fund house has decided to distribute 100% of distributable surplus on face value of Rs 10 per unit as dividend on the record date of 30 April 2009. The scheme recorded NAV of Rs 10.3630 per unit under institutional plan and Rs 10.3426 per unit under retail plan as on 23 April 2009. Birla Sun Life Fixed Term Plan – Series AS is a close ended income scheme, with an investment objective to generate current income by investing in a portfolio of fixed income securities maturing normally in line with the duration of the scheme. On Friday, Federation of Indian Export Organisation (FIEO) Chairman J K Jain, said that the exporters are suffering as demand has battered in international markets due to the global economic meltdown. There were many foreign trade policy and banking issues which required to be addressed on precedence, Jain said.Meanwhile, Rajasthan Additional Chief Secretary Rukmani Haldia said the state government will help exporters and make efforts to solve their problems. Birla Sun Life Mutual Fund has announced 28 April 2009 as the record date for dividend distribution under the dividend option of Birla Sun Life Quarterly Interval Fund-Series 7. The fund house has decided to distribute 100% distributable surplus as dividend as on the record date on the face value of Rs 10 per unit. The scheme recorded NAV of Rs 10.1018 per unit as on 22 April 2009. Birla Sun Life Quarterly Interval Fund-Series 7 is an interval income scheme with the objective to generate regular income through investments in debt and money market instruments. Palm oil futures in Malaysia increased to more than a seven month high on distress for lesser than expected vegetable oils supplies outweighed those about slowing growth in palm oil demand. July delivery palm oil advanced 4.2% to 2580 ringgit per tonne, which is the uppermost since August. 1. Declared, the Split up of Equity Shares of the Company from Rs 2/- to Rs 1/- each and issue of further shares on rights basis to existing shareholders, as approved. This was as per the report of the scrutinizer appointed, for postal ballot. 2. Cancelled the shares which were forfeited due to non payment of calls in arrears. Mercator Lines Ltd has informed that the Company had allotted 2,85,00,000 convertible warrants on October 25, 2007 to one of its promoters, pursuant to the resolution passed by the shareholders at their Extra Ordinary General Meeting held on October 11, 2007 in accordance with SEBI guidelines on preferential issue. Each warrant of a face value of Rs 5.85 was carrying option to subscribe for 1 equity share of the Company at a price of Rs 58.50 (inclusive of premium of Rs 57.50).Accordingly, all 2,85,00,000 warrant stands cancelled and consequently, the entire amount received thereon from the warrant holder stands forfeited. उन्होंने कहा की, "अगर वहाँ पर समस्त दृष्टिकोण सकारात्मक है और आशावादी विलंब होगा तो कुछ निवेश 2009/10 में किया जाएगा।"
On Friday, a senior industry ministry official said that foreign direct investment into India is expected to be as a minimum $40 billion in the year to March 2010 on a favorable outlook. Gopal Krishna, a joint secretary, said the FDI during 2008/09 fiscal year were expected around $37.5 billion, together with reinvestment by foreign firms. "There will be some investment (in 2009/10) which will be delayed but overall outlook is positive and optimistic," he said. The mutual funds (MFs) sold shares worth a net Rs 191.30 crore on April 22, 2009 lower than Rs 257.10 crore on April 21, 2009. The net outflow of MFs' stood at Rs 191.30 crore on April 22, 2009 and this was a result of gross purchases Rs 558.70 crore and gross sales Rs 750 crore. The MFs till April 22, 2009 were net seller of shares worth Rs 249.60 crore in this month. 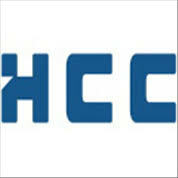 The Board of Directors of the Hindustan Construction Company Ltd at its meeting held on April 24, 2009, inter alia, has recommended a Dividend of Re 0.80 per Equity Share of Re 1/- each for the approval of the Shareholders at the ensuing Annual General Meeting of the Company to be held on June 12, 2009. Godrej Industries has walked out of the pesticide services business by selling HiCare to Denmark-based ISS. The company held 80 per cent of Godrej HiCare and will now become a wholly-owned subsidiary of ISS. Four years ago, Godrej Industries had diversified into the pesticides business.Similarly, for Godrej HiCare, the company was eyeing for a strategic partner to take it to its next level of growth. The Indian rupee on April 23 gained against the dollar on the back of expectations of a good foreign funds inflow after the rise in the Sensex. The domestic currency in the fairly active trade at the Interbank Foreign Exchange (forex) market, resumed weak at 50.45/46 a dollar from its earlier close of 50.34/35 but later recovered to close at 49.92/94 and showed gains of 42 paise. 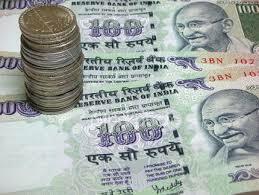 The rupee moved in a range of 49.92 and 50.50. The weakness of the dollar against other currencies in the global markets was also the main factor for appreciation in the rupee. As per the forex dealers, the rupee bounced back soon after the start of the trading session as the local stocks turned resilient in early trade. The Sensex recovered sharply by 317.45 points or 2.93 per cent on Thursday after showing losses for the last three days. Meanwhile, the Reserve Bank of India fixed the reference rate for the US dollar at Rs 50.22 while the euro at Rs 65.47. Coonoor: Hail storm of this week in different parts of Nilgiris has damaged the tea leaves ready for harvest, which in turn caused losses to growers.Plantations received rains in March after a long drought. Afterward as well, the rainfall was insufficient to compensate the crop loss. Further, the April production is also expected to be hit as summer showers came with hail storm this week.On Wednesday, strong hail stones lashed plantations in Bandhumi, Beratti, Chinna Bandishola, Hubbathalai, Aruvankadu, Wellington and Katary village belts. Reliance Mutual Fund has dividend under the retail and institutional plan of Reliance Interval Fund-Series II. 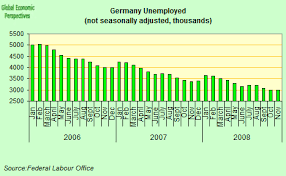 The record date for the same is announced April 28, 2009. The fund has decided to distribute 100% distributable surplus available as on the record date as dividend. The scheme recorded NAV of Rs 10.0399 per unit under regular plan and Rs 10.0397 per unit under institutional plan. Reliance Interval Fund-Series II is a debt oriented interval scheme with an objective to generate regular returns as well as growth of capital by investing in a diversified portfolio of central and state government securities and other fixed income/debt securities normally maturing in line with the time profile of the plan. Great Offshore Ltd has informed that a meeting of the Board of Directors of the Company will be held on April 30, 2009, inter alia, for considering the Audited Financial Results of the Company for the quarter & year ended March 31, 2009 and dividend on equity shares. The markets are now trading near the day’s high but some volatility. The Asian markets also gained some momentum and recovered a bit. The significant buying witnessed among the IT, Auto, Metal, Banking and Capital Goods stocks. However the Realty and Consumer Durables stocks are still treading under pressure. The broader markets however remained out of favor today as both the BSE Mid Cap and the BSE Small Cap are trading lower today. The BSE Sensex is now trading above the 10,900 mark and the NSE Nifty above the 3,350 mark. The overall market breadth is negative as 1041 stocks are advancing while 1126 stocks are declining and the 100 stocks remain unchanged on BSE. The BSE Mid cap is trading lower by 7.13 points at 3,475.65 and the BSE small Cap decreased by 12.48 points to trade at 3,950.20. BSE Sensex was at 10,938.67 up by 121.13 points and the NSE Nifty was at 3,363.70 up by 33.40 points. Reliance Communications (RCom) has started the commercial roll out of post paid GSM services in the metropolis. "The Reliance Mobile GSM post-paid service entails offering a unique value proposition fine-tuned as per the needs of nearly 14 million GSM customers in Mumbai circle," said Akshay Kumar, Regional Head (West), Reliance Communications in a release in Mumbai. The company has launched this service with a plan of Rs 375. Moreover, Reliance Mobile is offering 750 free local minutes as part of this plan during the post-paid roll-out. In line with this, the company is also offering a flat Local call rate of Rs 0.50/minute to any network as well as fixed line phone to its new post-paid subscribers and a flat STD call rate of Rs 1 to any network across India. RCom had launched the pre-paid GSM service in Mumbai early this year. However, the comapny has already launched the post-paid GSM services in Gujarat as well as Haryana, Karnataka, Punjab, Rajasthan, Tamil Nadu and Uttar Pradesh. Kolkata: The objective of 210 million kg of tea exports in 2009-10 might not be achieved, according to Mr Basudeb Banerjee, Chairman of Tea Board of India. "This will happen despite the promise of higher exports to countries like Iran, Egypt and Pakistan," Mr Banerjee told Business Line on the sidelines of the inauguration of Kolkata Tea Festival sponsored by Tea Board here on Wednesday. "This year, we'll certainly export more teas to these countries than before but our exports to traditional markets like Russia and Europe might suffer," he said, attributing it to production loss and recession in western countries. The Reserve Bank of India has increased exposure to US government bonds by 70 per cent. This is among the highest exposure by a major Asian economy after the collapse of investment bank Lehman Brothers in September 2008.According to the US treasury, India has increased its exposure to US government securities to $34.6 billion as on end February 09, which is an increase of 70 per cent over the $20.3 billion in September 2008. During the same period, China pumped in an additional $126 billion since September to take its total exposure to $744 billion. RBI''s purchases are expected to account for 99 per cent of the overall Indian investments, apart from some investment from financial institutions and corporates in US treasuries. However, investments in US bonds have gone up, without increase in returns on US bonds. JM Financial Mutual Fund has announced 27 April 2009 as the record to distribute dividend under the dividend option of regular and institutional plan of JM Fixed Maturity Fund-Series XI-13M1 (JM FMF-XI-13M1). The fund has decided to distribute dividend upto realized appreciation in the NAV of the plan/option till the record date. The scheme recorded NAV of Rs 10.0411 per unit under regular plan and Rs 10.0417 per unit under institutional plan as on 21 April 2009. The investment objective of the scheme and the plans launched there under is to seek to generate regular returns through investments in fixed income securities normally maturing in line with the time profile of the respective plans.